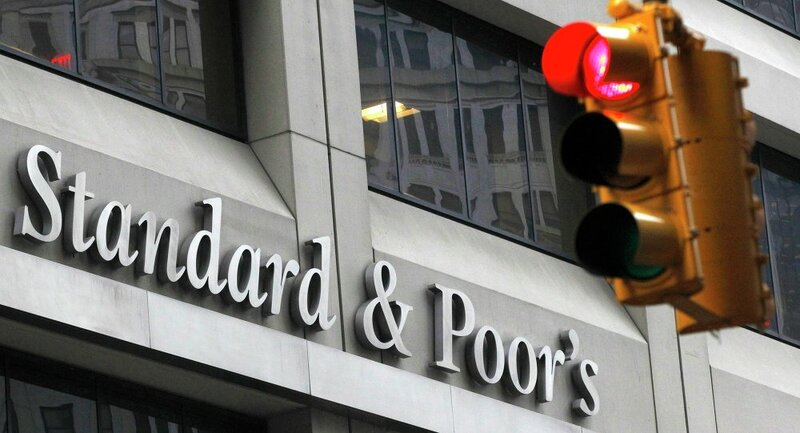 MOSCOW (Sputnik) - Standard & Poor's financial services firm on Friday revised Russia’s ratings up to 'BBB-/A-3' from ‘BB+’ with a stable outlook. The New York-based ratings agency cited the country’s prudent policy and improved monetary transmission. Also, Fitch ratings agency said that Russia's long-term foreign- and local-currency issuer default ratings will remain at BBB- with positive outlook. "Fitch Ratings has affirmed Russia's Long-Term Foreign- and Local-Currency Issuer Default Ratings (IDRs) at 'BBB-' with positive outlook," the release said on Friday. Fitch explained that the positive outlook reflects "continued progress in strengthening the economic policy framework underpinned by a more flexible exchange rate, a strong commitment to inflation- targeting and a prudent fiscal strategy." Russian economic development minister commented on the S&P's decision to raise Russia’s sovereign rating, saying it was a belated recognition of the nation’s economic progress. "The sovereign rating upgrade to the investment grade is a belated reaction to Russia’s successful economic policy," Maxim Oreshkin said. Oreshkin suggested that Russia’s responsible macroeconomic policy had led to the US credit agency’s change of heart. He said a flexible exchange rate system, "inflation targeting" and new budget rules had reduced the country’s reliance on oil prices, driving its ratings upward. Oreshkin also noted that S&P's revision of Russia’s sovereign rating would open up the country to foreign capital. "An upgraded investment-grade rating will attract capital and keep the rate of return in the long-term Federal Loan Bonds market below 7 percent. This opens a path toward a rise in investment crediting and creates more opportunities for infrastructure loans," he said.